I am against changing rules which have stood the test of time for centuries. But the following rule has frustrated me for decades. Let me speak out today even though I may be labelled as a cricket ignoramus. A batsman is judged not out for LBW if the ball is pitched on the leg side even though the tracking device shows that the ball would have hit the stumps. To me this is wrong. It favours the batsman and is anti-leg-spinners. I have asked many friends who know their cricket but have received vague and unconvincing answers. A few months ago I met The Roar editor Scott Pryde at a first-grade cricket match at the Roseville Oval in Sydney. He was the umpire in that match and before the game commenced we had a chat discussing various aspects of cricket laws. Scott’s explanation was interesting. He said that if batsmen were given out LBW to stumps-hitting balls pitching on the leg stump, teams would be all out for poor scores and matches would not last the distance. I agree that spectators at internationals come to watch centuries and not low scores but isn’t this unfair to bowlers, especially leg-spinners and googly bowlers? 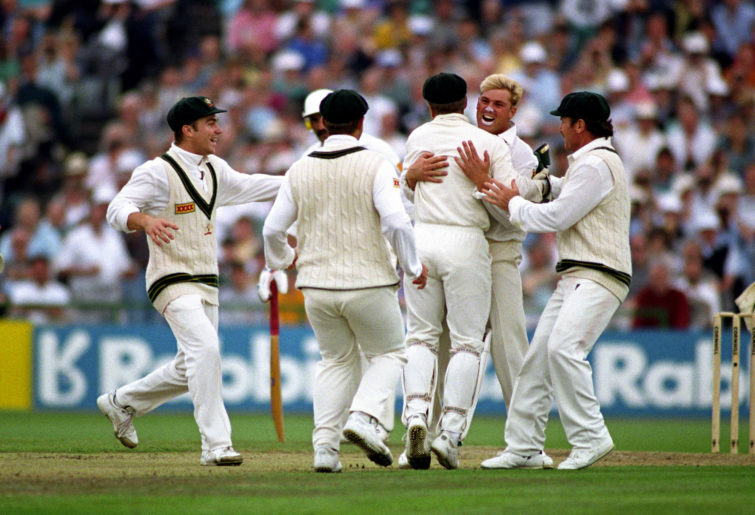 We all remember Shane Warne clean-bowling England’s Mike Gatting with a delivery that pitched outside his legs and hit his off stump in the Manchester Test of June 1993. Now wait. If the ball had touched Gatting’s pad on the way to hitting the stumps, he would have been declared not out by the current rules. Is that fair? Perhaps it is ‘fair’ for batsmen but unfair for leg-spinners and for the good of the game. The above is just one striking example. But there are more than a thousand cases when batsmen have received lives because of this illogical leg-side no-LBW law. About time we change this law. Roarers, what do you say?